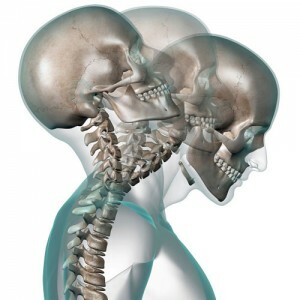 Whiplash is an injury to the neck that occurs when the head suddenly moves backwards and then forwards. This injury is commonly seen following car accidents, particularly in rear ended or side impacted collisions. Because there is a sudden movement through the extreme ranges of your neck, there is a high level of stress placed on your muscles, ligaments, discs and joints which may result in pain and muscle spasm. You may feel symptoms immediately after the incident or it may take hours or days. Symptoms may include neck pain & stiffness, headaches at the base of the skull, dizziness and ringing in the ears. Whilst the majority of people with whiplash make a full recovery over the course of weeks to months, a small percentage of people go on to develop chronic neck pain. It is important that you try to continue with your normal daily activities as this will aid recovery. Physiotherapy for whiplash is aimed at reducing pain and inflammation in the neck while restoring strength and function. Your physiotherapist will take a detailed history to understand the contributing factors and related symptoms. A physical assessment will be conducted to determine the extent of the pain, joint stiffness, muscle spasm as well as any predisposing factors. A treatment plan will then be devised, which may include soft tissue massage, traction, heat, stretching, electrotherapy such as ultrasound or TENS. Your physiotherapist will also devise appropriate exercises to perform at home as well as posture correction techniques.